South Jakarta Maritime Agriculture and Food Tenacity (KPKP) Sub-dept. will monitor wild animals and pets along Asian Games XVIII Torch Relay route.
" We will conduct surveillance before Torch Relay is held"
South Jakarta KPKP Sub-dept. 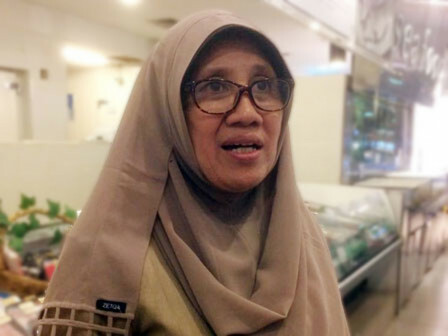 Head, Wachyuni mentioned, her side will monitor wild animals and pets before Asian Games Torch Relay is held. Thus that event will be not disturbed by animals presence. "We will conduct surveillance before Torch Relay is held," she mentioned, Tuesday (7/17). She will focus to conduct surveillance near Ragunan Zoo (TMR), Pasar Minggu. Particularly across Bumi Perkemahan Ragunan entrance, Jl. RM. Harsono. South Jakarta KPKP Sub-dept. 's Animal Husbandry and Animal Health Section Head, Yuli Absari added, sacrifice animals traders must not sell along Jalan RM Harsono. Those traders will be directed to sell in other locations. "Sacrifice animals are prohibited to be traded along the road to Ragunan because it is one of Asian Games athletes training grounds," she explained.